The Avengers: Infinity War promotional campaign has been running on all cylinders for the past few weeks, showcasing all of the many characters who will battle the villainous Thanos. However, many Marvel fans have started to freak out that Jeremy Renner's Hawkeye hasn't shown up once in a trailer or even a poster or t-shirt design. 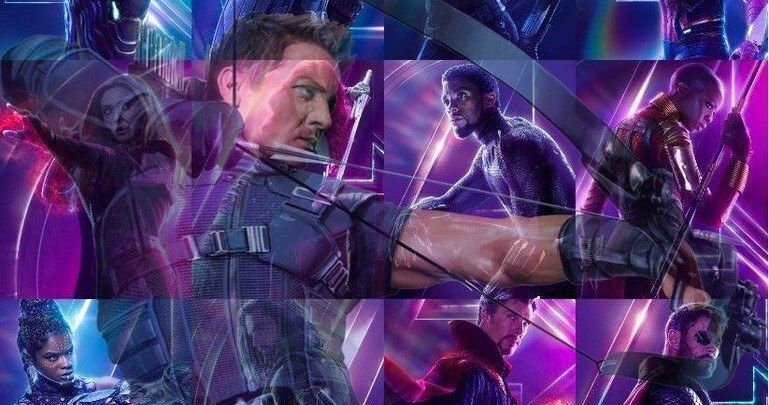 Some fans have gotten pretty angry that Hawkeye isn't around while others have taken a more creative outlet for their grief, doctoring Infinity War posters to feature the character. Now, co-director Anthony Russo has broken his silence on the Hawkeye controversy. Before all of the lack of Hawkeye in Infinity War madness spread, The Russo Brothers explained that he was in a different place after the events of Captain America: Civil War. Apparently, Hawkeye had a pretty unique reaction to the fallout and that reaction will be told in the upcoming Infinity War. However, these nuggets of info were given before the Justice for Hawkeye movement started. In a new interview, Anthony Russo has a simple answer for the lack of Jeremy Renner's character. He explains. "All will be explained when people see the movie... It's all tied into the story." At the end of Captain America: Civil War, Hawkeye, aka Clint Barton went back to his family in their secret farmhouse to continue his retirement. Set photos have proven that Jeremy Renner was on set with a new look, so the mystery continues, even after Anthony Russo warned fans to be patient. Hawkeye will be doing his own thing when Infinity War hits theaters in a few weeks, so at least we won't have to wait too long to see why he's been missing from all of the promotional material. One popular theory that has been floating around the internet is Clint Barton will return to his farmhouse to learn that his family has been murdered. The storyline comes from the comics and could very well be used, turning Hawkeye into a completely different person. Things could get pretty dark and Hawkeye could be Ronin in Infinity War, out for violent revenge, which would explain the new look and some leg armor from the set of Avengers 4. The Russo Brothers are keeping a tight lid on the secrets of Infinity War and they, along with the rest of the cast and crew are doing an exceptional job. But, the premiere date is fast approaching, and spoilers will soon hit the net, so it might be time for some Marvel fans to go dark on certain sites and stay away from those friends who enjoy ruining movies for everybody. Hawkeye fans should be able to rest easy in knowing that everything will be explained very soon, which might not be what people expect. In the meantime, you can check out the original interview with Anthony Russo and his thoughts on the missing Hawkeye controversy from Total Film.